No one wants to be the first one on the dance floor. Yet everyone wants to swim in an empty pool. The school term must have started. New faces, new bodies. The 25-meter pool was way too crowded for my liking. I have been spoiled by the calm peace of being the only one to dive in and glide across. Usually, the swimming pool maintains an equilibrium of four people maximum. Today, there were six on average. They created waves big enough to compete with the ocean. In Frankfurt, I swam in an empty pool. Although it was small, I had the pleasure of dictating where the waves should go. Unfortunately, the health club also allowed people to smoke. With every gulp of fresh air, I also increased my chances of getting lung cancer. In Houston, none of my neighbours dared to swim in the unheated outdoor pool in winter. So I had monopolised it all winter. Diving into the cold water woke me up each morning. Winter in Houston was like summer in London. 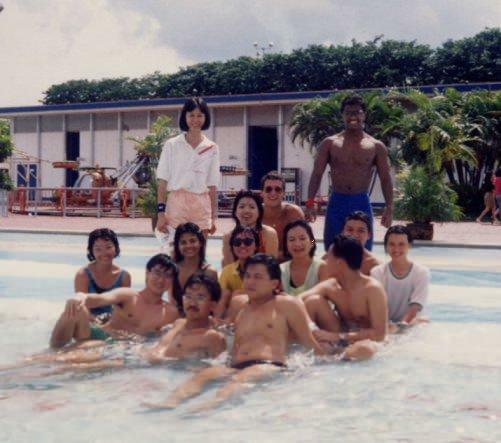 It all started in Singapore - swimming outdoors in uncrowded pools. I've really been spoiled by the best.